Crossed eyes, also known as strabismus, refer to a condition in which both eyes do not look at the same place at the same time. Often times they both turn in, but may also turn out. The six muscles attached to each eye, which control how it moves, receive signals from the brain. These signals direct the eye’s movements. In normal circumstances, the eyes work in an organized fashion so that both point in the same direction at the same time. With crossed eyes, however, the muscles around the eyes do not work together because some are weaker than others. This causes the eyes to turn inward or in the opposite direction of each other. When the eyes are askew, the brain receives mixed images from each eye. In the beginning, the person may suffer from double vision and misperception. Over time, the brain becomes trained to ignore the image it receives from the weaker eye. But, if left untreated, the person may permanently lose vision in the weaker eye. Risk factors for crossed eyes include family history, a considerable amount of uncorrected farsightedness and medical conditions like stroke, head injury, Down syndrome and cerebral palsy. Though crossed eyes can develop in older children and adults, it typically develops in infants and young children by the age of three. Though babies are commonly affected, some experience a condition called false strabismus or pseudostrabismus, in which their eyes may appear misaligned, but they in fact are aiming at the same direction. This appearance of crossed eyes can be due to having excess skin over the inner corner of the eyes, or a wide bridge of the nose. As the child'face grows, the appearance of crossed eyes diminishes. 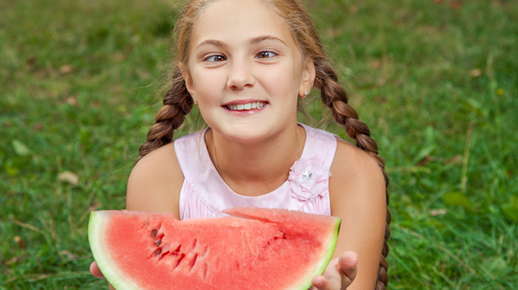 If the child does truly have crossed eyes, it is vital that he or she get treated. While some believe that the condition can be outgrown, it cannot. Crossed eyes can worsen without treatment. If you are the parent of a child who is older than four months and notice that his or her eyes do not appear to be straight at all times, an examination is in order. Refraction – an instrument known as a phoropter is used to conclude the right lens power needed to rectify refractive errors like astigmatism, nearsightedness and farsightedness. During the test, a series of lenses are placed in front of the patient’s eyes while a handheld lighted instrument (retinoscope) gauges how they focus light. Focusing and alignment testing to determine how well your eyes move, focus and work in unison. An eye health examination to observe the internal and external structures of the eyes. The information rendered from these tests will allow your optometrist to develop a treatment plan, which can involve prisms, vision therapy, eyeglasses or eye muscle surgery. If the condition is found and treated early, it can often be corrected with excellent outcomes.